Commercial LED Lighting Longmont: Why Should Your Colorado Company Switch? 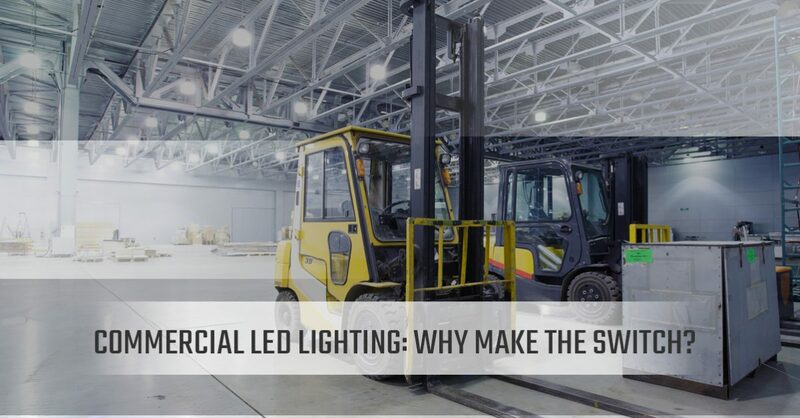 Commercial LED Lighting: Why Make The Switch? If your Colorado business is using conventional, standard lighting — whether you’re a brick and mortar retail shop or an industrial warehouse — you’re not doing yourself any favors. While incandescent or fluorescent lighting might be a little cheaper upfront as compared to LED lighting for businesses, investing in LED lamps and LED light fixtures is a smart move for your business, the environment, and for all-around increased efficiency. Serving businesses along the Front Range of Colorado, New Edison Lights is proud to be at the forefront of the LED lighting revolution. We have helped countless companies in Fort Collins, Loveland, Longmont, Estes Park, and Denver save significant amounts of money on their commercial lighting costs. At the end of the day — or the end of the fiscal year — New Edison Lights is helping companies small and large get more out of their day-to-day operations, and, we’re also enabling companies like yours to use less energy. That’s an environmental and financial win. It doesn’t get much better than that! Schedule a lighting audit today and discover just how much your business can save. A Commercial LED Lighting Company That Represents YOU! New Edison Lights is a factory direct company. What this means for your business is that we avoid needless markups on our LED products, ultimately passing on the savings to you and your company. By retrofitting your existing LED lights, we also make transitioning from incandescent to LED lighting technology smooth and simple — the way it should be. Again, since we are a factory direct LED company, New Edison Lights sources the best products directly from the factory for your project. Typically, we can quote around 30 to 40 percent of what our competitors would otherwise charge. Think about it: that’s pretty money-savvy for your business to switch commercial lighting technology with us! Ultimately, we’re a local, Longmont-based commercial LED lighting company focused on helping nearby Colorado businesses of all sizes increase the efficiency of their lighting. Time and time again, our professionals represent our customers’ best interest through our services — not the interest of LED lighting manufacturers, representatives and distributors. Our LED retrofitting solutions are multifaceted, and though switching over to LED technology can seem like a daunting and complicated process, don’t worry! New Edison Lights takes all of the hassle out of the experience, letting you focus on what matters the most: running your business. Ready To Save Energy, Money, And Run Your Business More Efficiently? So Are We! From commercial LED parking lot lighting to LED warehouse lighting and LED retail lighting, this is the new standard of lighting technology. We serve Colorado businesses near Longmont, Estes Park, Fort Collins, Denver and beyond, check out our success stories or contact New Edison Lights today to get started!